I am not a wine connoisseur so I can’t explain to why my taste buds like this sparkling wine so much. But trust me when I say it is DELICIOUS and bubbly. And it is cheap because it is sold at Trader Joe’s . I bought it because I was having a party and was going to mix it in the punch. I always thought that cheap wine was supposed to taste like rot gut, but this is smooth and full of flavor. Once I tasted it, I decided this wine should be served on its own in glasses. There was no wine punch. Just plain punch and Villa Alena Moscato D’Asti. I am going to buy some more so that I can enjoy the whole bottle myself. 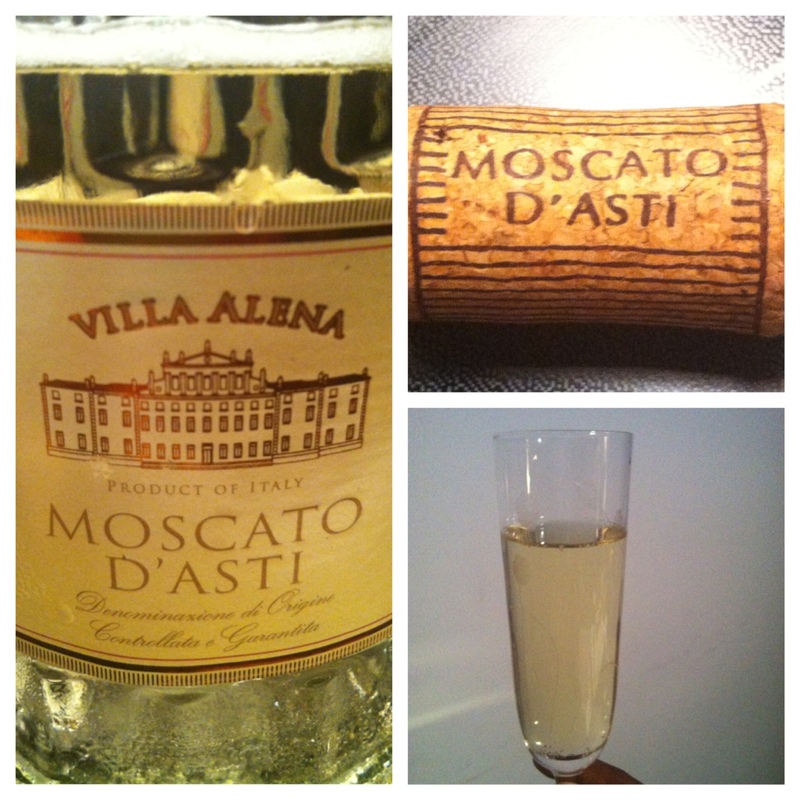 Served Villa Alena Moscato D’Asti chilled with a plate of strawberries is a pleasant way to spend an afternoon. If you are interested, at http://www.wikihow.com/Become-a-Wine-Connoisseur there are steps to becoming a wine connoisseur.